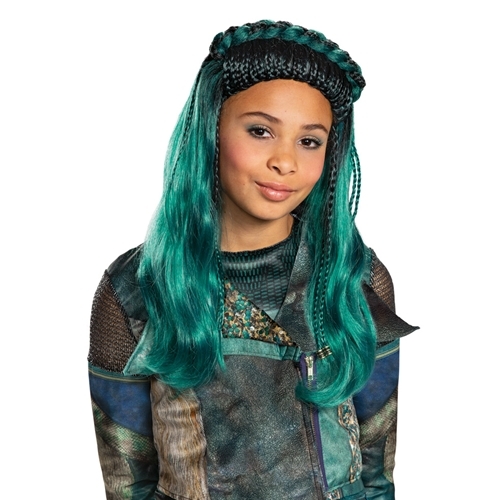 The Disney Descendants Uma Wig includes one Braided Child Size turquoise wig as pictured. This officially licensed wig embodies Uma’s look from Disney Descendants 2: Isle of the Lost. This wig is a perfect finishing touch to an Uma costume. The unique turquoise color also makes this a great wig for many other characters for your next cosplay convention, or for Halloween!